Last month saw the first Snowdonia Challenge come to Betws-y-Coed in Snowdonia. 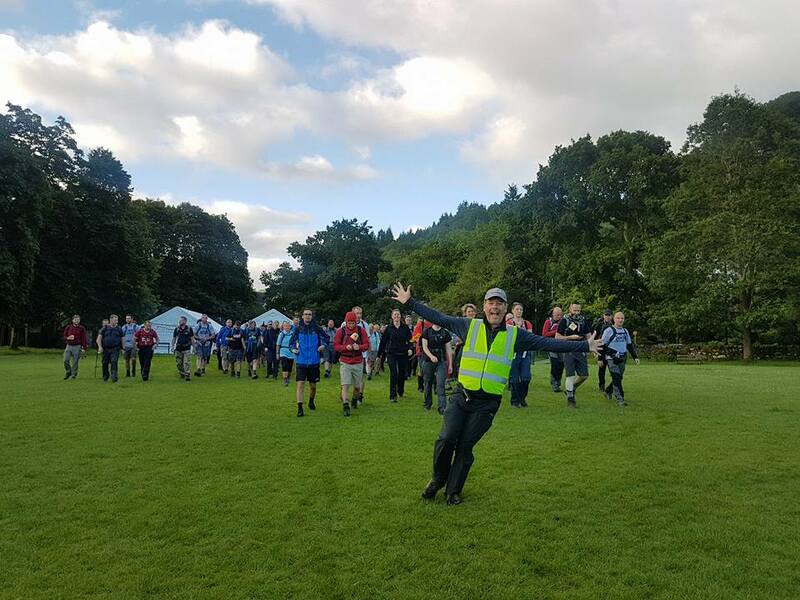 Three days when 150 people got together to take part in, what would be for some, the adventure of a lifetime. Amongst all the wonderful people that took part there were a mixture of reasons as to why they were there and what had inspired them to take part in the first place. 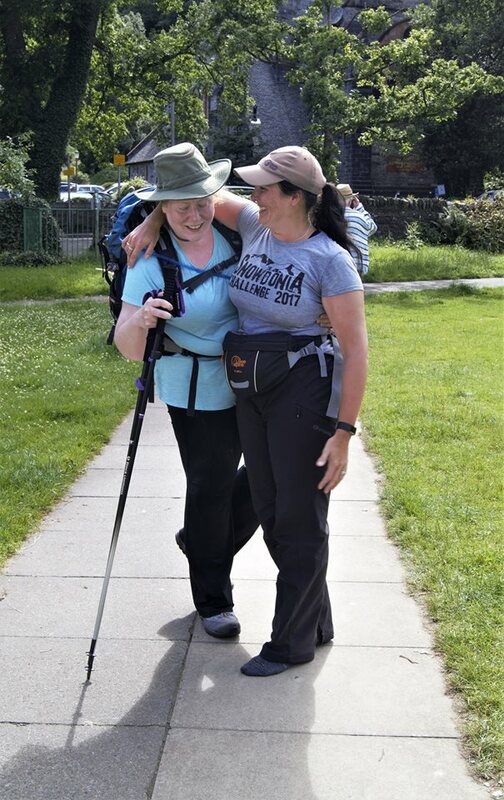 For some it was a chance to catch up with old friends, others wanted to set themselves a new challenge and have motivation to improve fitness levels, for some it was a good way to raise money for their favourite good cause. What happened was all of the above. 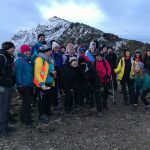 What none of us expected was the number of new friendships that were created over the 3 days and, for us especially, the feeling that the ‘Snowdonia Challenge family’ has only just started to grow! When we created the Snowdonia Challenge we promised everyone who took part a journey like no other. One that would test their physical, mental and emotional strength. It was amazing to watch each persons individual journey from one day to the next. What challenges have you done before? I haven’t done any challenges before. Sure I have had personal challenges in my life that have tested my strength in other ways but I have never been challenged in this way. What appealed to you about this one? Honestly, just getting to spend some quality time with my best friend as we don’t get to see each other very often. I love walking and so does she, its like therapy sometimes and being in the outdoors helps to clear the mind. I thought this would be a walk like any other that I have done, perhaps just further with the added climb. What did you do to train and prepare? Despite believing that I was fairly fit and that the challenge would not be, well, too challenging. I did take my training very seriously, starting in January 2017, any spare time was spent up a hill or in the gym. I went to the gym most days to do circuits, weights and swimming. At weekends, I would climb the Wrekin 5 times or go for 20 mile hikes in the Shropshire hills with my husband. 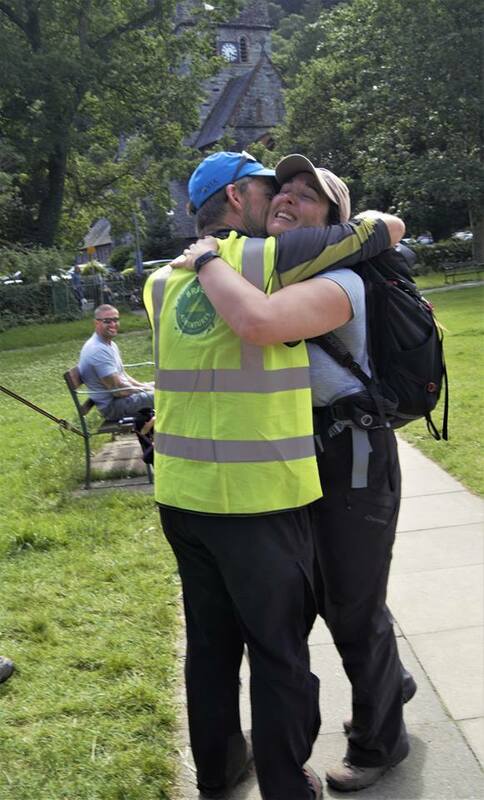 I climbed Snowdon twice (extreme weather at the top on both occasions) and once the challenge routes had been issued, I completed the day 1 and day 3 routes with my hubby. The day 3 route we completed in absolute torrential rain and it took 3 days to dry our boots out. I went away on holiday for a week to Lanzarote just before the challenge and trained every day after breakfast. We climbed the volcano and walked the length of the coast (20 miles daily). I was pretty sure that I had done enough. Who did you take part in the challenge with? I took part with my best friend Manda. We agreed that we would do this to benefit Dementia and Alzheimers, a charity close to our hearts. What was your favourite part of the challenge? I have to give a 2 part answer here. My favourite part was spending time with my bestie and completing this together. We laughed so much because they were the only muscles that didn’t hurt. 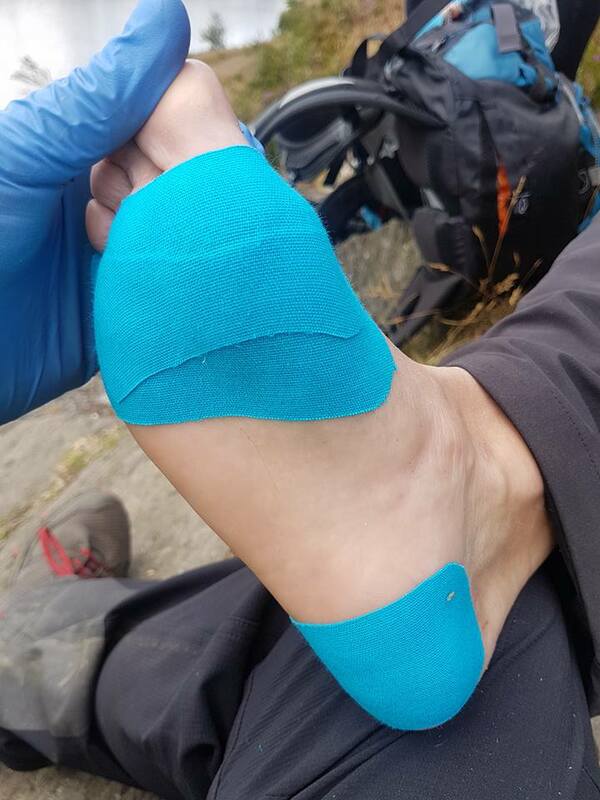 My worst part was when I had to walk 6km alone from check point 2 to the Siabod cafe (check point 2) on day 2. Manda had to be bussed to the cafe as her heel was too painful to put her foot down despite Tabitha lancing and dressing her blister. I was delighted to be greeted open armed by Manda when I got there and she then continued the last 10km with me. How did you find the challenge overall? It’s the hardest thing I’ve ever done and there were so many times when I could have quite easily thrown in the towel. 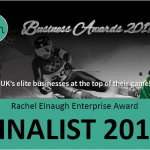 I don’t do failure and I was adamant that I would crawl over that finish line if I had to. The whole event was so well organised. Massive thanks to Tracey and Stiwart for this fantastic experience. I have learnt a lot about myself and have made some wonderful new friends along the way. Whats the best memory you have from the weekend? I’ve got loads, the weekend was full of fantastic memories. Day 3, a squady by the name of Mark walked the first 10km with us and really helped to channel our minds to deal with the pain we were in. Massive thanks to him, we never saw him again. 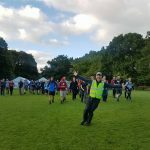 Days 2 and 3 – Three of your marshals were heroes in my opinion. Christine dressed by blisters and loaned me her walking poles (I went and bought my own at the end of day 2). Day 2, Tabitha dressed both mine and Manda’s feet to help us keep walking. Day 3, Elton was just brilliant and I really don’t think there are words to describe how grateful I am to him. He did a wonderful job 10K in to day 3 on my feet and that I am certain is what enabled me to complete the last 20K. Most definitely, I’ve already booked. Im bringing my husband with me too. We are also staying at THE best B&B in Betws y Coed with Sarah and Ben again. They are just the best. We checked in as guests and checked out as friends. Maria and Amanda raised over £2000 between them for Alzheimers Society. 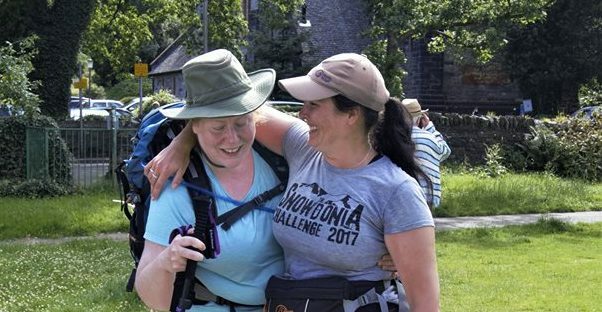 If you would like to join Maria (and her hubby) and Amanda for the Snowdonia Challenge 2018 you can secure your place here. If you took part in Snowdonia Challenge 2017 and would like to share your journey with us please contact us. A big thank you to Elton and Tabitha from Two Feet Two Wheels. Sarah and Ben run Bryn Llewelyn Bed and Breakfast in Betws-y-Coed.